Waiheke Island is approximately 35 minutes from the city of Auckland by ferry. 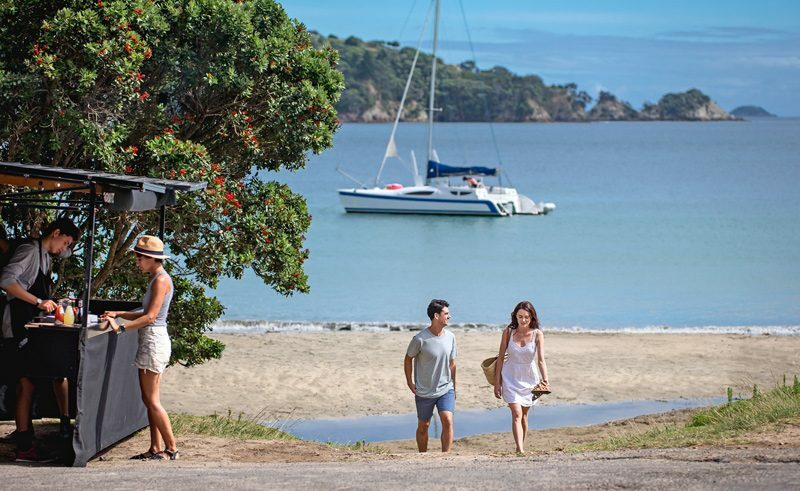 You can visit for the day like I did or, if you have the time – stay a couple of days to enjoy everything Waiheke has to offer. On the ferry over from Auckland to Waiheke Island, we enjoyed lovely views of the Hauraki Gulf whilst enjoying a fresh cup of coffee prepared on board. 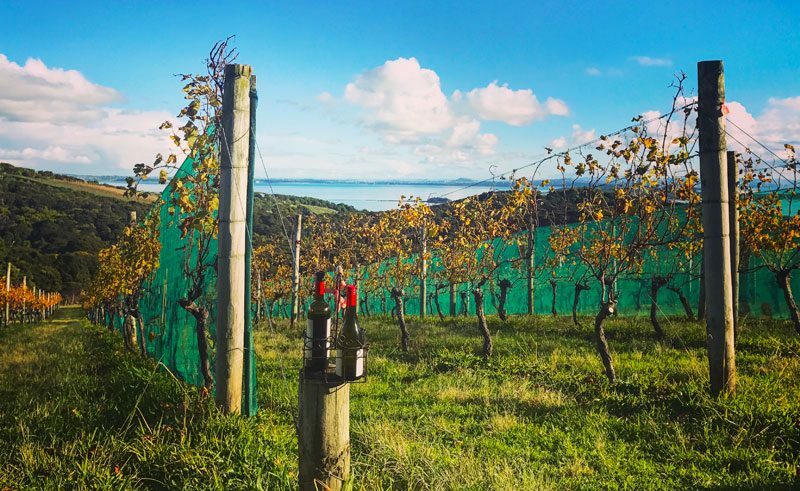 Waiheke Island is known locally as the Island of Wine because of Waiheke’s many wineries and vineyards… and the reason for my visit was exactly that. We visited 4 different wineries during my time on the island: each had a stunning location and gave a different vineyard experience. You don’t have to be a wine connoisseur to enjoy the day, it is kept fun and informative. Tasting the varieties of wine helped too! I was taught how the different wines at the various wineries were made, stored and sold and got to enjoy the produce on offer in a selection of stunning locations. If wine doesn’t appeal, the gorgeous beaches are worth the visit on their own! Alternatively, come to enjoy Waiheke’s art scene, with local galleries and studios or the sculptor park. Have I mentioned the stunning scenery enough? Well you could also add a bit of adventure too and take a scenic flight or perhaps take the Flying Fox Zipline to enjoy the views of the island. I loved my day at Waiheke Island and will absolutely recommend this to anyone who has the time to visit. Experience the North Island on one of our New Zealand holidays or contact our team of Travel Specialists to discuss tailor making your own itinerary.